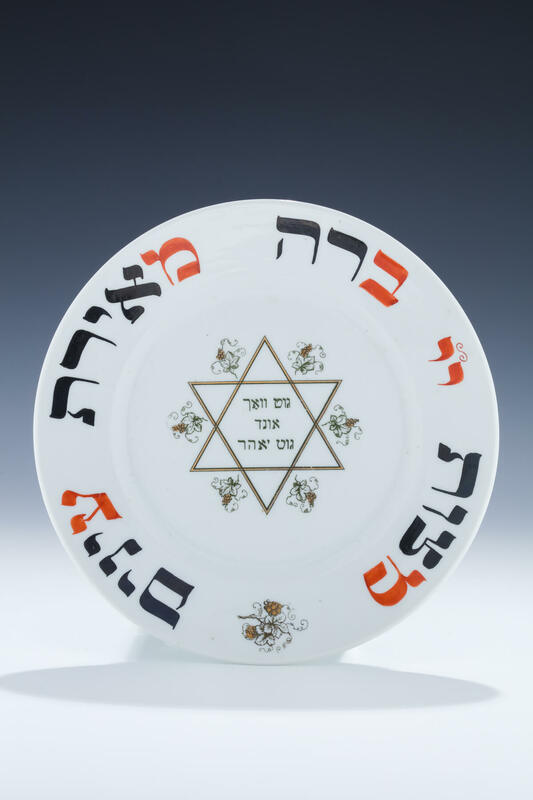 A CERAMIC HAVDALAH PLATE. Silesia, c. 1920. White, with orange and black painted letters. Made by Altwasser. 9.7” wide.